There IS a path to peace in the Middle East. A first step is for both sides to stop the "blame game" and the attempts to make one side "right" and the other side "wrong." Rabbi Michael Lerner, editor of Tikkun magazine, shows how it is possible to be both pro-Israel and pro-Palestine, and to recognize that both people's best chance for lasting security lies in finding a "progressive middle path" toward peace even when the forces of violence in the United States, Israel, and Palestine have temporarily taken ascendancy. 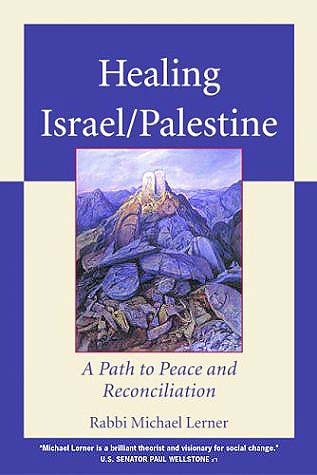 Lerner provides a balanced perspective on the current Middle East struggle, and demonstrates that being visionary and rejecting "cynical realism" is the most practical global politics for the twenty-first century. The book includes extensive historical information with a focus on current events, photographs, and detailed political maps of the region. An appendix provides resources for readers interested in activism. 16 Mar 2004 @ 17:17: ¿quien sabe que?